I am forever falling in love with cute little shoes with bows. I absolutely adore them, with is kinda funny as I have next to no time to wear them. Living in Brisbane with the heat and humidity sees me wearing mostly thongs (not the underwear) or some trainer related shoes (I have several pairs and a pair of sandals that are a bit like trainers). Anyway, I found this wonderful tutorial where with the help of bias tape and fabric glue one can create the most adorable shoes with bows out of an existing pair of shoes. 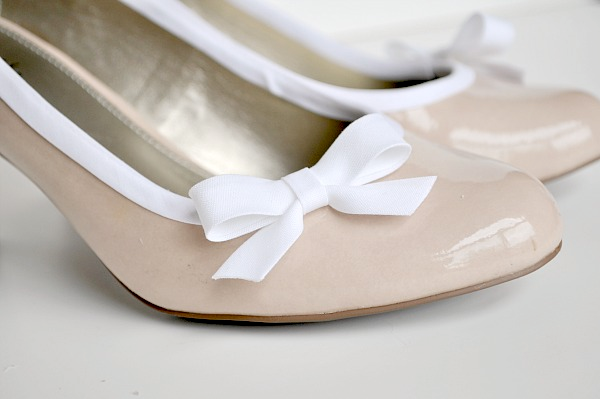 I honestly can't wait for the Autumn shoes to come into the shops and go get a pair of ballet flats try it out on.